T3 and T4 are hormones that are secreted by your thyroid gland and have a major impact on your health. T4 is the thyroid hormone thyroxine and T3 is the hormone triiodothyronine, and they affect almost every organ in your body. T4 and T3 levels in your body are regulated by the thyroid-stimulating hormone, or TSH for short. Thyroid tests to check thyroid function usually check for abnormal levels of TSH and T4 hormones. Symptoms of hypothyroidism (underactive thyroid) are usually associated with low levels of T4 and T3. This can cause you to feel fatigued, have difficulty losing weight, feel tired, and have hair loss. An underactive thyroid is also associated with high TSH levels and low T4 levels. An overactive thyroid or hyperthyroidism is caused by high T4 and T3 levels in your bloodstream. When your thyroid secretes too much thyroid hormones you can feel restless, suffer from sleep problems, have frequent digestive upset, and increased sweating. If you suffer from hyperthyroidism, your thyroid test results will usually show low levels of TSH hormone. This article contains a complete guide to your thyroid hormones and thyroid function. You will learn what T4 and T3 hormones do in your body and what the target range of T3 and T4 is. I will also explore why testing for free T4 levels is sometimes better than a TSH blood test. Your thyroid is an important hormonal gland in the body that has a direct impact on your metabolism. 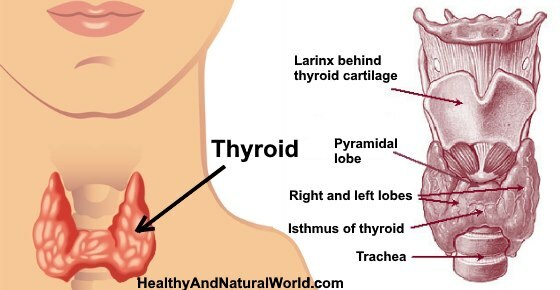 Your thyroid sits in the front part of your neck just below your voice box and is shaped like a butterfly. Your thyroid function depends on hormones that are released by glands at the base of your brain. The hypothalamus releases thyrotropin-releasing hormone (TRH) which then stimulates the pituitary gland. The pituitary gland then secretes TSH that stimulates the thyroid to produce T3 and T4 hormones which are released into your bloodstream. T3 is the thyroid hormone triiodothyronine and T4 is the thyroid hormone thyroxine. Let’s look in more detail at what T3 does and why T4 is the more potent hormone. What is Free T3 (FT3)? Sometimes, you may hear doctors talking about T3 uptake when discussing thyroid testing. What is T3 (T3RU) uptake? The book Clinical Methods says that T3RU (T3 uptake) test measures the levels of proteins in the blood that carry thyroid hormone.7 T3 uptake can help your doctor interpret the results of T3 and T4 blood tests. The T3RU test is hardly used these days because the TBG (thyroxine-binding globulin) and the free T4 blood tests are now available. What is Free T4 (FT4)? The amount of free T4 helps doctors see how much thyroid gland hormone is available in your blood to meet your energy requirements. If you show signs of abnormal thyroid function, doctors may arrange for a blood test to check FT4 levels and possibly free T3. This is usually done at the same time as a TSH blood test, or doctors may check T4 levels only if TSH blood test readings are abnormal. 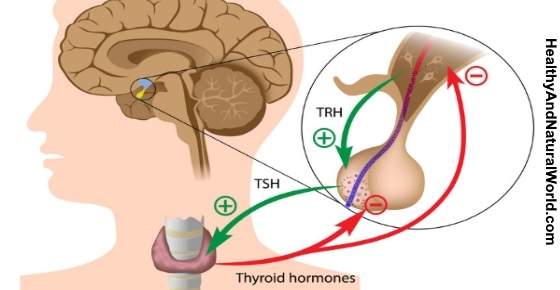 TSH, T4, and T3 are all connected with your thyroid function and TSH can affect thyroid hormone levels in your blood. TSH levels that are less than the normal range often indicate hyperthyroidism because your thyroid is overproducing T3 and T4. If your lab test results show high TSH levels, this can indicate that your thyroid is sluggish and there is not enough thyroid hormones. To learn what your TSH levels mean, read my complete guide to TSH levels (including optimal thyroid levels). Having lab test readings that show high T3 and T4 can mean that you have hyperthyroidism. Doctors will usually test FT4 levels and may also run FT3 tests if your TSH readings are low. When levels of T3 and T4 fall below the normal range, you will probably show signs of hypothyroidism. Mild hypothyroidism can even occur if your TSH readings are within the normal range. Usually, low T3 levels in a thyroid function test are matched by low T4 readings and elevated TSH levels. Therefore, T3 below the normal range usually means a person has hypothyroidism. For example, if an overactive thyroid produces too much T4 or T3, the feedback loop to your brain signals to produce less TSH. The same is true if your thyroid isn’t working properly and produces too little hormone. Lab test results that show TSH levels greater than 4.0 mU/L and T4 within the normal range can indicate subclinical hypothyroidism. Blood test results that show TSH levels higher than the normal range and FT4 of less than 0.7 ng/dL mean that you have an underactive thyroid. Test result reading of TSH of less than 0.4 mIU/L and FT4 more than 1.8 ng/dL means that your thyroid is overactive. Hyperthyroidism is less common that an underactive thyroid, however, similar to hypothyroidism, it affects women more than men. Also, if you have recently had treatment for hyperthyroidism, you could have normal TSH but low T4. Doctors treat the symptoms of hypothyroidism by prescribing oral thyroid hormone replacement therapy. Some treatments for an underactive thyroid involve prescribing T4 replacements like levothyroxine sodium (brand names: Levothroid, Levoxyl, Synthroid, or Tirosint). Other treatments involve a combination of T4 and T3 replacement therapy. WebMD. Picture of the thyroid. Front Endocrinol (Lausanne). 2015; 6: 177. MedicineNet. Medical definition of thyroxine. Medscape. Neurological manifestations of thyroid disease. LabTestsOnline. Free T3 and total T3. CamdenCCG. Abnormal thyroid function tests. Am Fam Physician.2001 Nov 15;64(10):1717-1725. J Clin Endocrinol Metab.2012 Jul;97(7):2256-71.